The BP Visa card gives you 25¢ in cents per gallon rebates for every $100 in purchases made in the first 90 days (except on purchases made at non-BP gas stations). Purchases at BP locations include not only fuel, but snacks and other everyday items. Since there is no annual fee or interest, when you pay the balance in full every month, why not get cash back every time you buy gas at BP and elsewhere? Rewards expire 12 months after the month they are earned. Apply for your BP Visa card on this page and make sure to read the fine print. BP Visa Card is issued by Synchrony Bank, who may provide you with a BP Visa Signature Card, BP Visa Card or a BP Credit Card. 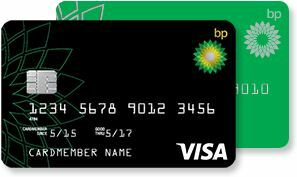 Apply for the BP Visa credit card at http://www.choosebp.com.